When I want to kick back and unwind, my routine is always much the same; good snacks, a good tv show to watch and last but not least - a good face mask. Recently I was lucky enough to be sent a few new ones to try from the lovely people at Chic Chiq, who produces Ayurveda inspired cosmetics. Ayurveda, which translates to “the science of life” in Sanskrit, originated in India thousands of years ago and is one of the world’s oldest types of medicine. 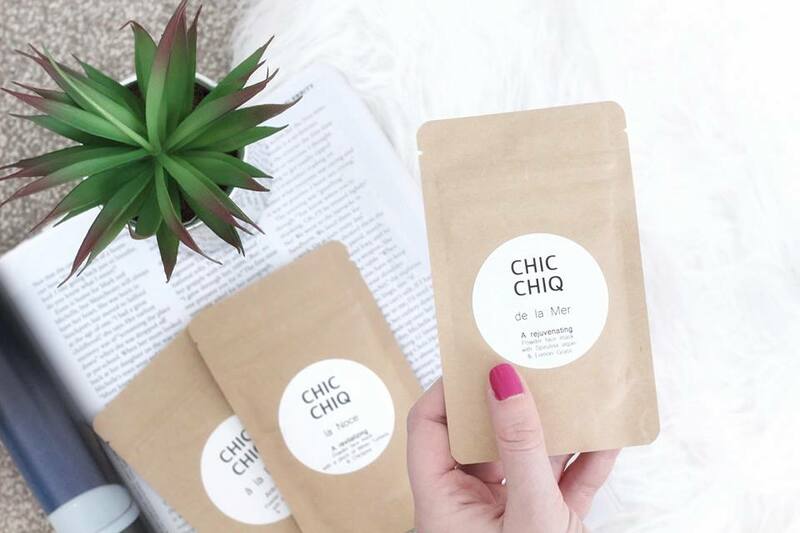 It focuses on the mind and body connection and it's basic rules in terms of beauty care, which Chiq Chic follow, are simple; cleansing, nourishing and moisturising. 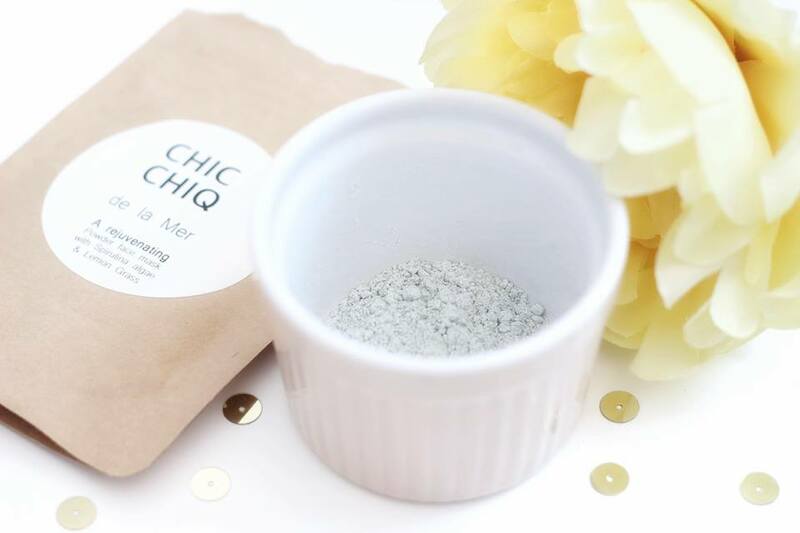 What is unusual about the Chic Chiq masks is that they come in a powdered form, which is something I haven’t tried before. The logic behind creating masks in this form is that they will have a longer shelf life, because the ingredients are only activated when the powder is mixed with warm water. In this way, you have the option to ‘activate’ the mask when you are ready to use it - meaning it will be much more effective. There is also less need for preservatives, as the mask is technically fresh. The DIY aspect of the masks was something that I really liked. When you mix up the mask, you get a large amount of product so it goes on quite thick. Once applied, it should be left on for 15 minutes. After this time, it can then be rolled off the skin. Some packs can be a nightmare to remove - not to mention painful! - but this one was quite gentle to take off. There were three masks that I tried; la Noce, a la Rose and de la Mer. The first mask, la Noce has been created to revitalise your skin. If it's looking tired and dull, this would be the one to reach for. It helps to absorb excess oil and unclog pores to prevent breakouts, as well as stimulating natural collagen production. The second, a la Rose, is a luxurious mask which has been formulated to soothe sensitive skin and moisturise. This one is the anti-aging mask, designed to give you a bright and healthy glow and keep you looking young. My favourite though, was de la Mer. The scent of the combined ingredients was lovely and I found that it really did work for me. After using it my skin felt a bit more rejuvenated, clean and looked refreshed. It has been formulated with barley, which contains selenium, and is designed to leave skin appearing more tight and toned. The presence of Vitamin A and Vitamin C also help to hold back the signs of aging, which is another benefit. Given I have only tried this mask the once, I can't comment on it's anti aging properties long term but my skin did feel better after that first use, so I would definitely apply this again. My first experience of using powdered masks was certainly a positive one. Would I use them again? Most definitely. I found them to be far less messy, better to remove and the results spoke for themselves. I've definitely got my eye on the Chocolat one next, because who wouldn't want their face to smell like a chocolate bar!